The Evec is an easy and cost-effective, wireless and standardised measurement of whole body vibration. Evec was designed to facilitate the measurement and evaluation of whole-body vibration, offering advanced technology which can be learned easily and quickly, even by untrained users. The seat sensor, including its integrated memory, is just placed on the driver's seat - without having to be mounted mechanically and without needing any disturbing cables. The sensor is activated and the measurement thus started with just a few operator steps. 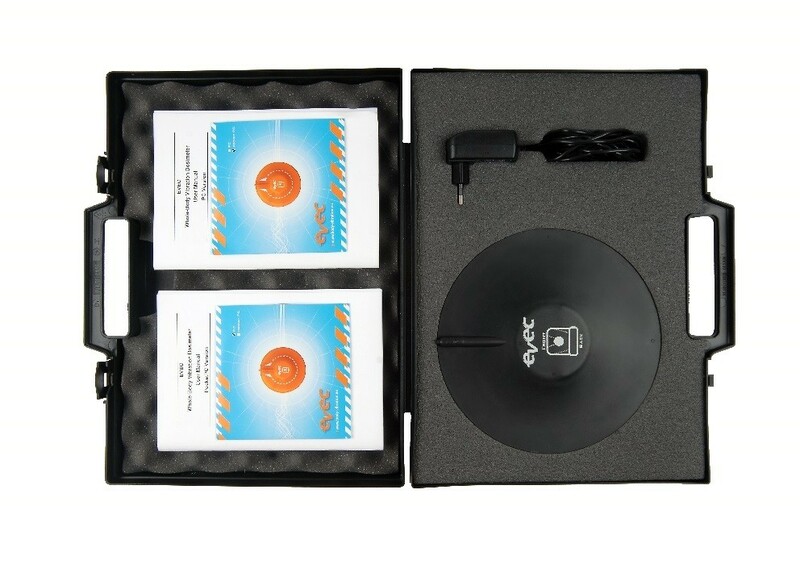 Evec was designed to facilitate the measurement and evaluation of whole-body vibration. Evec offers advanced technology which can be learned easily and quickly, even by untrained users. 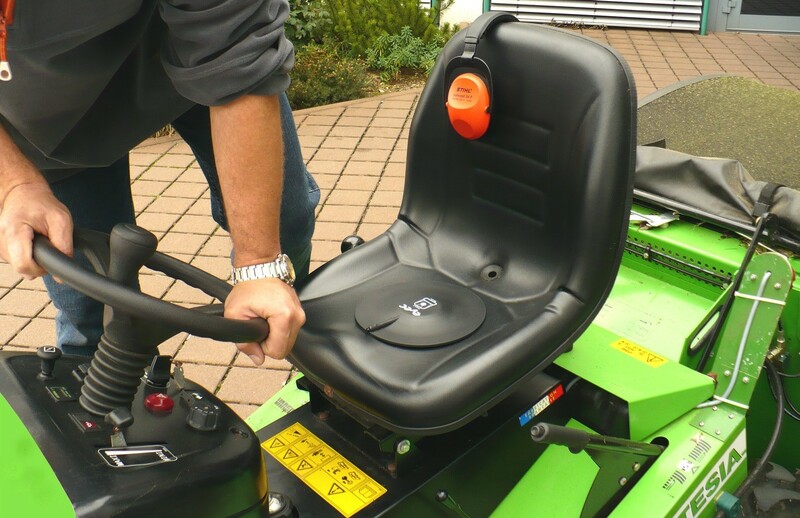 The seat sensor, including its integrated memory, is just placed on the driver's seat - without having to be mounted mechanically and without needing any disturbing cables. The sensor is activated and the measurement thus started with just a few operator steps. Wireless and user-friendly operation (can be used by non-experts). Automatic measurement and computation of the exposure levels as defined in the 2002/44/CE european directive. Automatic measurement of exposure time. Automatic identification and removal of unwanted effects. Direct access to measurement results using a laptop or an android application. The necessary software can be installed on a PDA or a notebook with Bluetooth interface. You need just a few settings – and your evec system is ready for use. The data recorded is also read from the seat sensor through Bluetooth. There are no annoying cables which might be damaged during the measurement. The driver does not have to do anything. The evec system automatically registers when the driver gets up and, complying with EN 14253, cuts off the peaks when the driver sits down too energetically. This allows precise measurements of the load to which the driver is exposed through the effect of vibrations. Special data preparation is not necessary. Conforming to EU Directive 2002/44/EC, the evec software calculates the A(8) value of the daily exposure, no matter whether the measurement covered the full span of eight hours or whether evaluation is based on a shorter time period. Standardized Measurement Any measurement series may be subject to undesired effects which falsify the calculated day load, for example, if the driver gets up and sits down frequently. The intelligent triaxial sensor excludes all of these undesired effects from calculation. The evec system takes such exceptional loads as well as breaks into account and, conforming to EN 14253, automatically eliminates such peaks and breaks from calculation of the total load. This excludes any manipulation of the measurement on the driver's part. The evec system is suitable for a very great number of applications. Every sedentary occupation involving the protection of working humans from undesired vibration requires the use of the evec system. 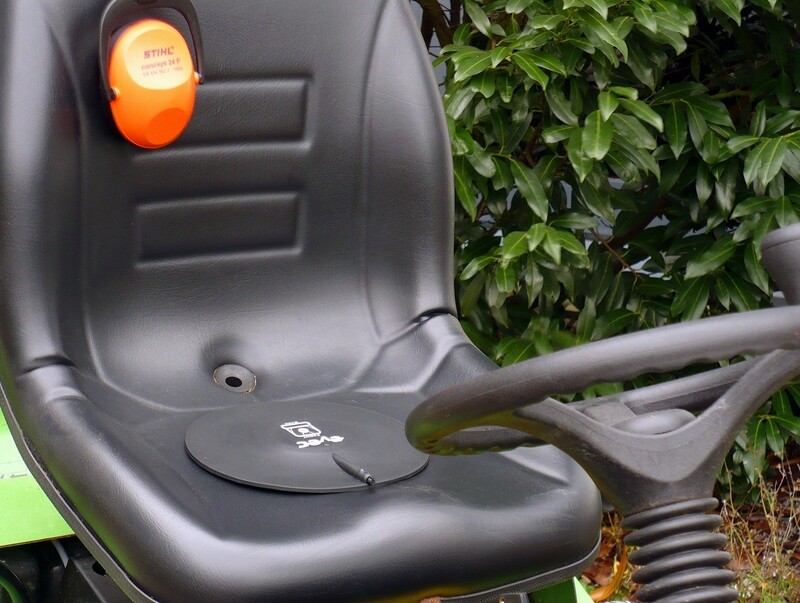 The evec system provides the ideal solution for measuring whole-body-vibration, whether relating to fork-lift truck drivers, long-haul truck drivers or horseback riders. Mobility without limits evec seat pads are wireless devices that communicate through Bluetooth® serial connections. The accompanying software to operate the evec seat pad can be installed on any computer device running Windows XP/Vista or Windows Mobile 5 equipped with a Bluetooth interface. Suitable computer devices are PCs, Notebooks, PDAs, mobile/ cell phones with suitable input peripherals and other mobile devices complying with the above specifications. To install evec software on a Windows Mobile 5 mobile device, both a connection with a Windows XP/Vista PC or Notebook and an operational recent release of Microsoft ActiveSync are needed.